Vehicle tracking solution web based and easy to use solution. It provides current status of all fleets, list of fleetos on map, historical reply of individual fleet, location reports, alarm reports, fuel usage reports, utilization information, fleet history logs and more. Register online customer's booking registration, customer verification, dispatch nearest taxi from customer's pick up place and also send SMS based conformation to drive as well as customer. it also includes taxi fare collection reports at the end of the year day by email too. A Solution which shows current status of all fleets, list of fleets on map , fleet monitoring. historical reply of individual fleet, location reports, alert reports, fuel usage reports, utilization information , fleet history logs and more. Container tracking solutions helps to determine the current positions of containers in cargo on the world map. Long life internal battery inside the CTS unit helps operator containers real time. 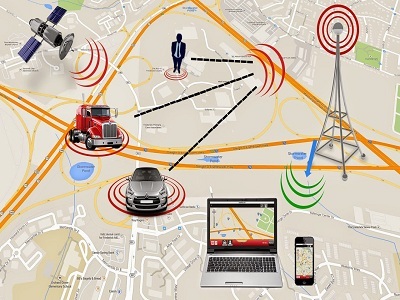 A portable GPS tracking device that can help you to know the exact location of loved ones. workers & pets. Respond timely to Emergency events with real time tracking, speed dialing of 2 numbers for two-way voice communication. Personal tracker sends a total of 4 alerts in the event of an emergency. A solution allows operators to reduce operating coast and protect assets against equipment failure and theft by monitoring critical machine operating parameters like status of equipment, easily determining location and service hour data, reports, fuel usage reports as well as second engine running report and more. Fuel theft a major problem for all fleet manager. Fuel monitoring solutions helps to monitor in each fleet's fuel usage. Fuel pilferage and fuel refill and fuel reserve and also send SMS based Real time alerts on mobile as well as in Email.